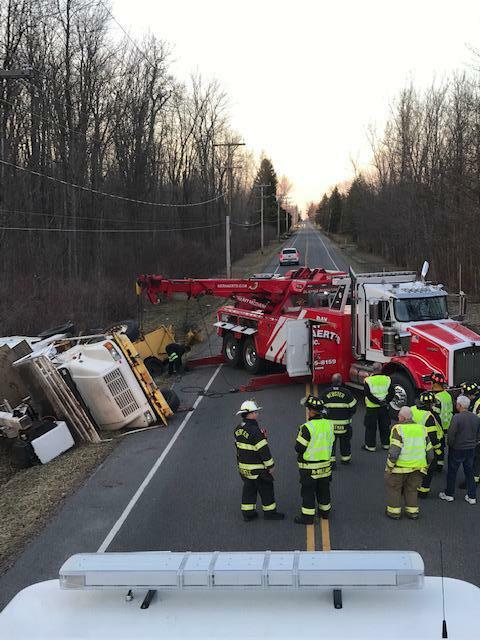 On Friday, March 29, 2019 at approximately 5:45 PM, the Webster Volunteer Fire Department was called to the 900 block of Monroe Wayne County Line Road for a report of a motor vehicle crash with a commercial vehicle rollover. 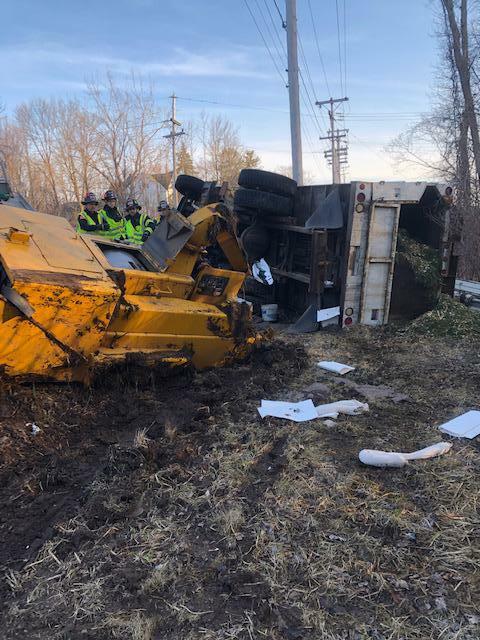 Command arrived and confirmed a commercial tree service boom truck and wood chipper in tow overturned on the Monroe County side of the roadway. 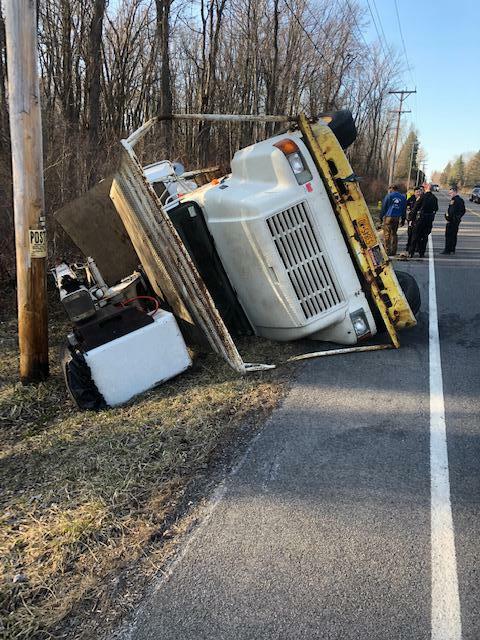 The situation developed into a Level Zero Hazmat due to the leaking fuel and engine fluids from the truck and wood chipper. 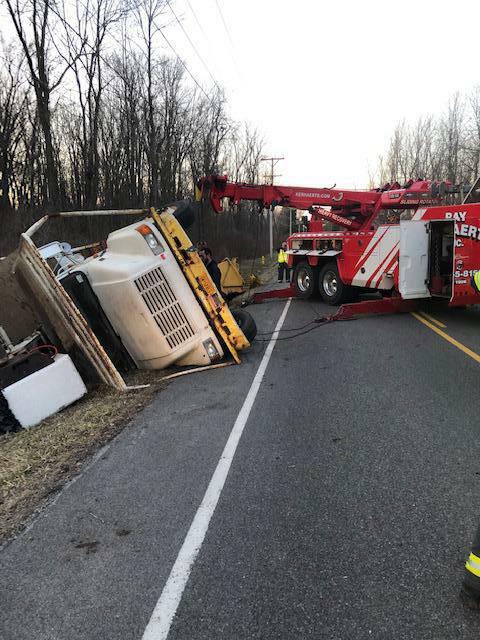 The roadway was closed for several hours as a heavy wrecker righted the vehicle and crews mitigated the fuel and oil spill. No injuries were reported and the crash investigation is being conducted by the Webster Police Department.